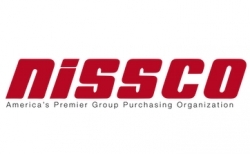 NISSCO, a premiere leader in supply chain management and procurement solutions, announced today the appointment of Kim Allison-Foster as its President. Sterling, VA, February 14, 2018 --(PR.com)-- NISSCO, a premiere leader in supply chain management and procurement solutions, announced today the appointment of Kim Allison-Foster as its President. In this role, Kim will be responsible for the overall strategic direction, innovation, and financial performance of NISSCO. Ms. Allison-Foster is a 25 year veteran of the Janitorial and supply chain management and procurement solutions industry. Previous to her appointment, Kim was the Vice President of Operations for NISSCO wherein she led the account management, accounting, event management, and operations teams. Under her tenure, NISSCO’s annual Buying Conference, remains the industry’s only face-to-face scheduled meeting format between suppliers and distributors, wherein not only business relationships are forged, but also, millions of dollars in purchase orders are transacted. NISSCO is a premiere leader in supply chain management and procurement solutions connecting local distributors to quality manufacturers across the United States and Canada. Since 1985, NISSCO has connects leading manufacturers which represent over 320 brands in the Janitorial, Chemical, Packaging, Safety, Food Service, Maintenance Equipment, and Industrial Supply products to over 225 independent distribution companies. NISSCO provides our clients with strategic and innovative solutions to drive sustainable, profitable growth.